BESTEK electronic toothbrush heads have been approved by official health and safety standard. The 4-pack toothbrush can help you clean both your teeth and tongue and keep them healthy from germs. 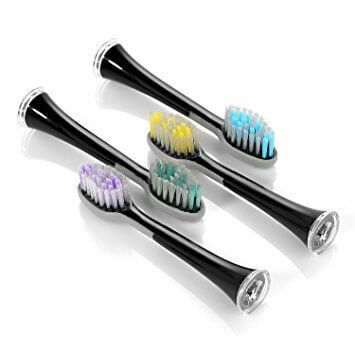 Soft Nylon design makes the toothbrush comfortable to use. There are four head colors for your option, perfect for family use. 4 toothbrush heads with silicone tongue brush allows you to fully clean both your teeth and tongue. Soft nylon bristles are effective to gently remove plague without hurting your gums. 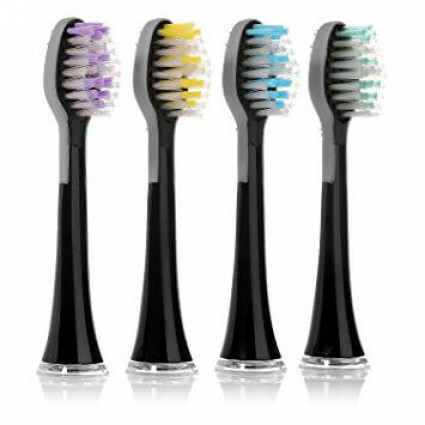 4 toothbrush heads comes with different colors, perfect for family use.